Tijan Apartments is a gated residential compound made up of buildings that occupy only a small percentage of the total land with the remaining area dedicated to lush green surroundings. 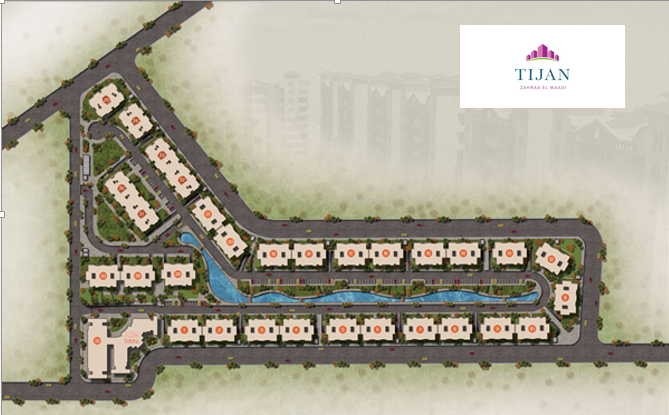 Comfortable units with an appealing blend of serenity make up the theme of the development. The project is located on high ground with an exquisite view of the neighboring charming scenery and the Wadi Degla Valley giving it an extra flavor of style. The scheme has a distinctive character with a grand lake and striking fountains forming the centerpiece of the development providing a sense of comfort along with a perfect mixture of style and convenience.